View of the main square along the main street connecting the city centre of Gatchina and central St Petersburg. Tovatt Architect & Planners developed a masterplan for a site in the outskirts of Gatchina together with Ltd Gatchina, a local company specialized in prefabricated building systems with a factory close by. That site was partly built with a large scale suburban housing block and our new buildings add a human scale and a more urban feeling to the area. 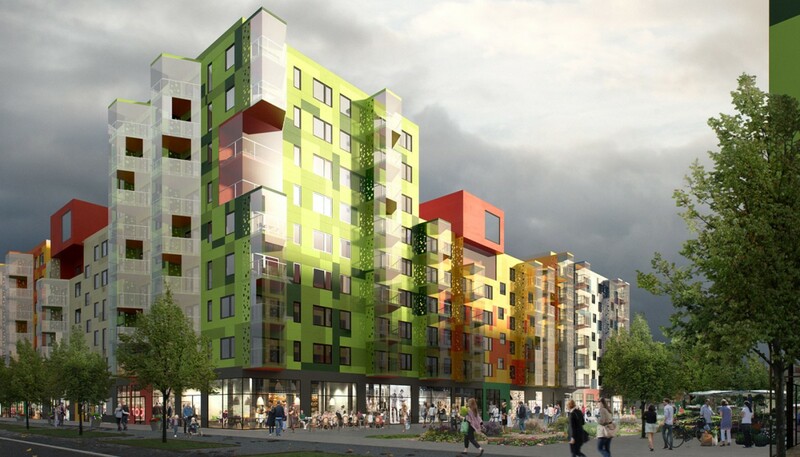 The conceptual design for the first phase of the award winning scheme combined the rational principles of the building structure with a colourful, almost random, appearance. 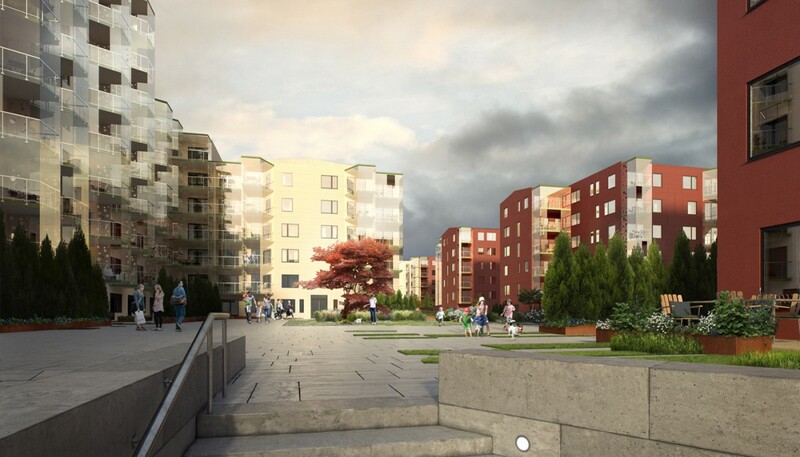 The landscape design focused on creating pedestrian friendly and inviting spaces that at the same time corresponds with the Russian regulation regarding access for fire vehicles etc and parking demands. A car free residential courtyard and podium parking below. The design corresponds with the Russian regulations for fire fighting and accessibility. 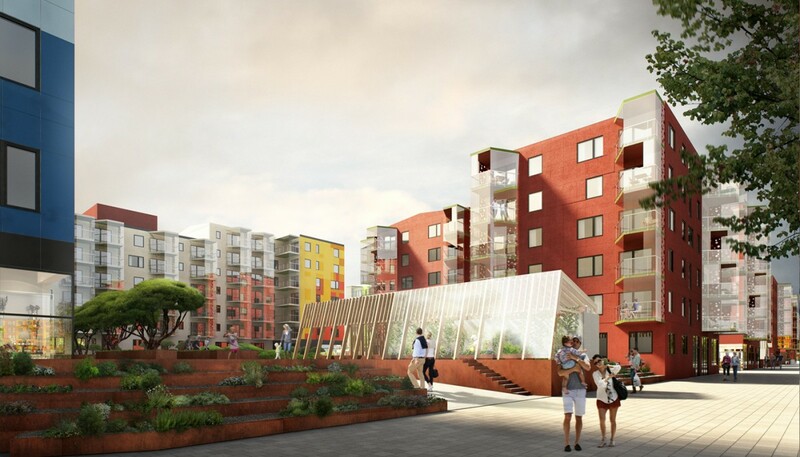 A community green house located in the transition between the semi-private courtyard and the public shared surface street running parallel to the main street.